Yesterday was my ninth dive! I went 65 feet, so I'm not very deep yet, but I'm getting deeper. The hubs keeps telling me to take it easy. Most people never go 65 feet, never mind 100 feet. BUT, my next dive I will go 100 feet! The dive we did is called Las Tortugas and it didn't disappoint. We saw 5 turtles swimming, eating, and just catching some waves like in Nemo! I picked up a sand dollar and brought the delicate shell all the way to the boat without breaking it. As I was climbing up the ladder... crack... Yep, I broke off a little corner. I hate when things aren't perfect. Check out our cool treasures! Tonight, I am making Lentil Soup for dinner. It is one of Jade's favorite soups AND vegetarian. This was my first time making Lentil Soup, but it was delicious! In a large sauce pan, saute the onion, carrot, and celery in olive oil. Cook for 5-7 minutes or until the onion is translucent. Add the lentils, broth, tomatoes, and seasoning. Heat to boiling. Reduce heat and cover. Cook for 45 minutes or until lentils are soft. If desired, use a stick mixer to puree to desired consistency. While browsing online, I found this photos. 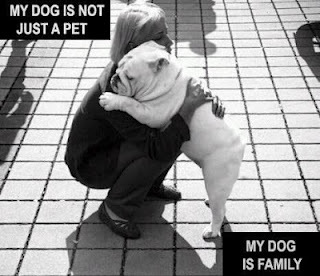 Have you hugged your dog today?